The Golden Gate National Parks Conservancy Board of Trustees today announced its selection of Christine S. Lehnertz as the organization’s new President & CEO. The Immigrant Yarn Project features knitted and crocheted pieces of yarn made by over 600 contributors from across the country representing generations of immigrants from every corner of the world. 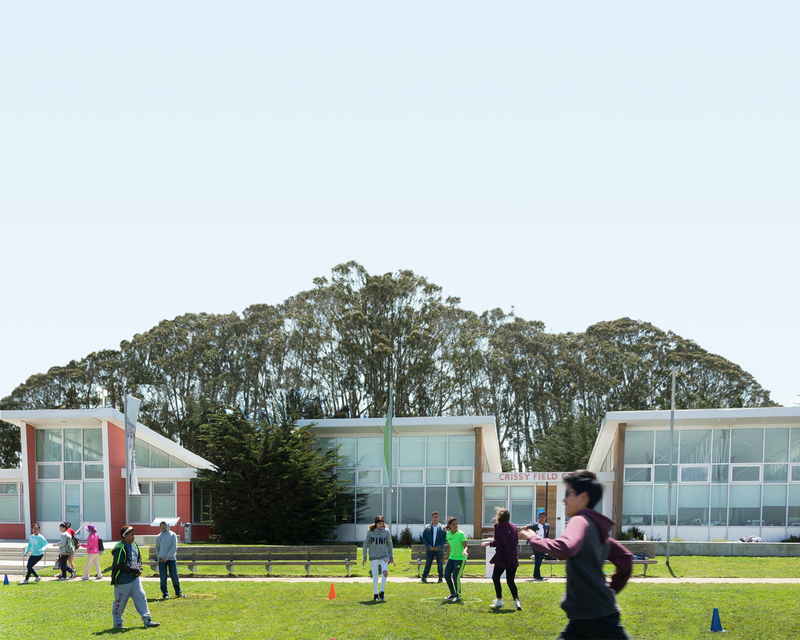 The National Park Service, the Golden Gate National Parks Conservancy, and the Presidio Trust launched the public engagement process for a multi-year effort to revitalize the Crissy Field area of the Presidio. The Golden Gate National Parks Conservancy today announced plans for a transition in its executive leadership in the coming year. Greg Moore, founder and longtime leader of this nonprofit conservation organization, will be stepping down as President & CEO and transitioning to a new role as Special Projects Advisor. His transition is planned for early 2019. The Parks Conservancy’s Board of Trustees has launched a search for Moore’s successor. The National Park Service and the Golden Gate National Parks Conservancy are partnering with Shared_Studios and Luminalt Solar Energy Solutions to present the San Francisco Portal at Crissy Field. The Presidio of San Francisco is taking a major leap forward in welcoming the public to what has become one of America’s most unique and surprising national parks.